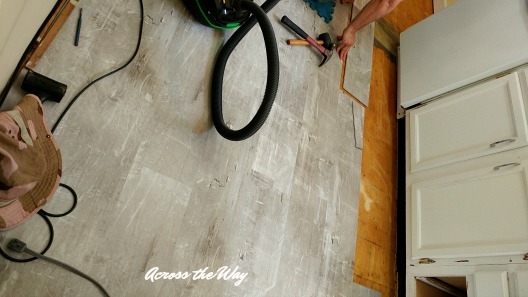 After 7 months of 7 boxes of flooring sitting under our dining table, the new flooring is being installed in our kitchen! I wanted something that didn't look like wood planks and this truly does look like stone. It's called Scratch Stone and I'm so glad I picked this one. Back in a couple of days to show more!